Welcome back to #DamienTalksSGV. 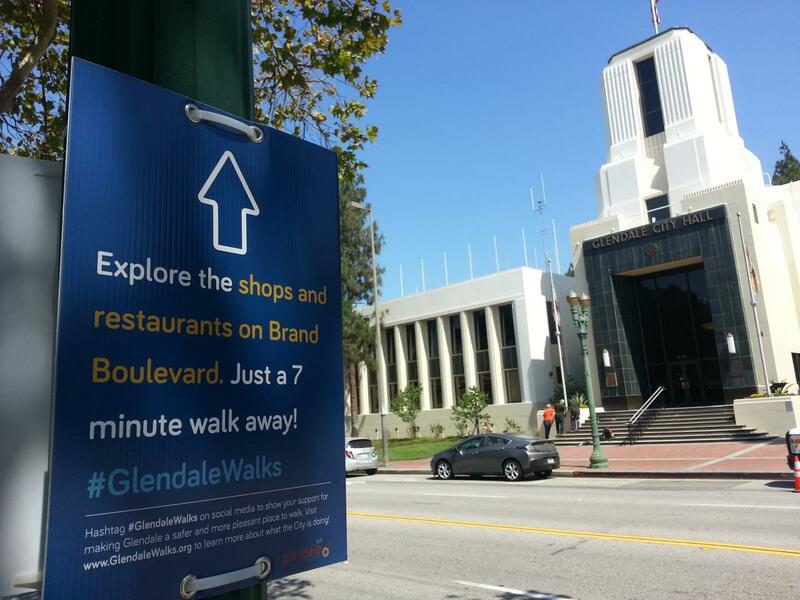 This week, we are discussing a best practice from outside the SGV, a new pedestrian wayfinding signage campaign in Glendale.The campaign combines traditional wayfinding with a call to action to get involved with Glendale’s process to develop a news pedestrian safety plan. Outreach for the campaign includes the signs, a social media campaign and outreach through traditional venues. Interestingly, the signs include information not just on how to be involved in the plan, but an invitation to join the conversation online by posting with the hastag #GlendaleWalks. If you want to contact Amber Hawkes, who is overseeing the campaign on behalf of the city of Glendale, email her: ahawkes[at]heredesignla.com. When #DamienTalks returns in July, we will return to the “two interview” format with regular discussions with staff and volunteers with BikeSGV. We are also booking conversations with Metro Board Members and executives with Foothill Transit and the Gold Line Foothill Construction Authority to discuss the upcoming vote on extending and increasing Metro’s transit sales tax. What will it mean to the San Gabriel Valley and its communities? We’ll have a lot of different viewpoints in the lead up to the election.